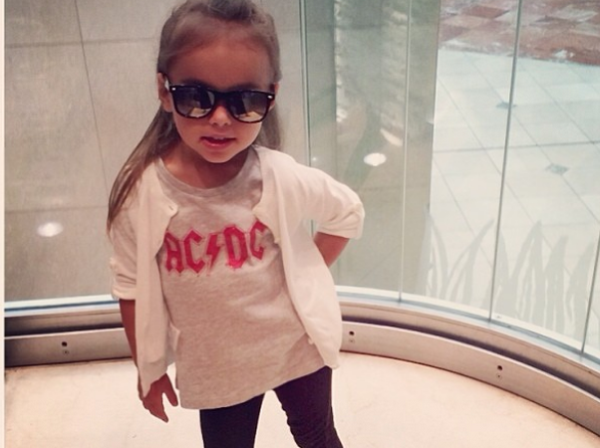 No one can resist showing off their cutie-pie kiddies on social media -- even our local celebs! Here are some snaps of the tots who'll no doubt be walking the red carpets across SA in mommy and daddy's shoes in the years to come. Which of these home-grown second-gen celebs is your favourite? Little Carter has daddy Graeme's eyes. Graeme and wife Morgan's eldest, Cadence, is already taking after her athletic pops. "The bugs fast," the cricketer captioned this sweet snap. Sureshnie Rider's daughter Pavani gets stuck in making some banana bread. Like mother, like daughter. Minki van der Westhuizen at little Katerien's christening. The model is expecting baby number two with hubby Ernst Joubert. Pixie Bennett is head-over-heels for newborn Nova. Little Gia's already the spitting image of her stunning mom, LeeAnn Liebenberg. Zuraida Jardine and daughter Aria enjoy a day in the sunshine. Mark Pilgrim's little princesses, Tayla-Jean and Alyssa.